Cannabissearch.com Buzz Rating: Pinewarp should really be named Mindwarp. It twists and melts one's mind until their brain becomes total mush and is incapable of anything but laughter. Pinewarp is from the legendary Canadian breeder, BC Bud Depot. Pinewarp stays true to their character, in terms of potency, but is different from most other strains in the fact that it was bred specifically with guerilla growers in mind. 10 to 13-foot plants produce large, dense buds that are streaked with orange pistils and thousands of sticky trichomes. The buds, which produce an orange marmalade aroma and flavor, will likely require support during flowering, to prevent the colas from snapping under bud weight. Whenever cultivating this strain, moderate nutrient levels are preferred. When grown in the Northern Hemisphere, Pinewarp will usually be ready for harvest by the 2nd week of October. 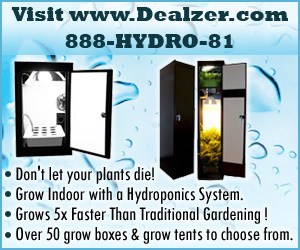 This outdoor or greenhouse-only strain requires minimal care other than a decent water source which waters the plant naturally, or may require watering from the gardener once or possibly twice per week, during flowering. Pinewarp 0 out of 5 based on 0 ratings. 0 user reviews.